A jubilant Lolo Tranquilino, 116 years old resident of GRACES, a DSWD managed center for abandoned, neglected, lost and unattached older persons was presented with a gift pack during the Launching of the National Respect for Centenarians Day, culminating activity of Elderly Filipino Week celebration, held last Friday at SM North Skydome. With Lolo Tranquilino are Sec. Judy Taguiwalo, Dra. Clarita Carlos, DSWD-Protective Services (PSB) Director Pacita Sarino, Danny Chavez of SM Cares, Salvacion Basiano, NAPC older persons sectoral representative, Jorge Banal, President of FSCAP-NCR, and the staff of DSWD PSB. Speaking in Visayan and Tagalog, Lolo Tranquilino Cabiling, 116, narrated his experiences as a soldier who fought during World War II. Despite his age, Lolo Tranquilino still has a lucid memory. He vividly recalled the events in the last World War during an interview at the Golden Reception and Action Center for the Elderly and Other Special Cases (GRACES) in Bago, Bantay, Quezon City, where he is temporarily residing. GRACES is a facility managed by the Department of Social Welfare and Development (DSWD) for abandoned, lost and neglected older persons. “Naririnig ko yung mga putok ng baril at mga bomba, at akala ko talaga mamamatay na ako (I can hear the gunshots and bombs, and I really thought I was going to die),” recounted Lolo Tranquilino. He attributes his long life to being a vegetarian. “At saka wala akong bisyo (And I have no vices),” he continued. To while away his time, he does gardening, and even washes his own clothes. A native of Talisayan, Misamis Oriental, he has a wife, three children, and seven grandchildren. Edwin Morata, Social Welfare Officer III at GRACES explained that they were able to trace Lolo Tranquilino’s family and will soon reintegrate him with them. Another GRACES resident, Trinidad C. Antiola, 72, will be transferred to Anawin facility in Montalban. Edwin said that since residents at GRACES can only stay there on a temporary basis, they need to find permanent facilities. Lola Trinidad hails from Pagadian, Zamboanga Del Sur. Since she is still strong, she helps in looking after other residents who are already senile. “Minsan mahirap silang pagsabihan, merong iba na gustong umalis o tumakas kasi nabo-bore daw sila dito sa center (Sometimes, it is hard to talk to them. There are those who want to leave or escape because they are bored in the center),” Lola Trinidad narrated. To keep the residents occupied, the center staff conduct recreational activities and special events, such as sportsfests, pageants, Santacruzan, as well as livelihood skills training, which the elderly enjoy. At GRACES, living quarters, food, clothing and beddings are provided to the seniors to approximate family life. House parents work on shifts to attend to the elders’ needs. Senior citizens are also provided with a host of programs and services like health and medical which include consultation, treatment and referral for physical and mental conditions. Spiritual services, activities for social interaction, relaxation and fun among residents are integral parts of the activities at the center. Occupational and recreational activities are given also to enhance the residents’ vocational skills and capacity to earn to prepare for the day when they will be reintegrated with their relatives, if ever. Edwin admits that working in a center is a great challenge. “You need tons of patience and understanding,“ Edwin said. He used to work at DSWD-NCR Crisis Intervention Unit and Stairway Foundation, a non-government organization. “We are also far from our families, so we feel that we are returning the love and appreciation of our parents to the older persons that we take care of,” Edwin expounded. To cope with the demands of their job, Edwin said he tries to maintain a fun learning and working environment. They also have wellness breaks like engaging in Zumba dance exercise sessions. Like most of the staff of DSWD managed centers, majority of the workers at GRACES are under the so-called Memorandum of Agreement (MOA), only the center head and doctor are regular employees. The facility also needs more vehicles. Currently, only one ambulance is available. GRACES has 200 bed-capacity but is currently serving 340 clients so there is a need to add more cottages. 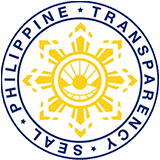 For 2016, GRACES operates on a budget of P28,124,250 million of which P24,496,708.86 have been utilized. For 2017, GRACES has a proposed budget of P32,571,356. The staff narrated that there are times that they have to call for a taxi to bring a sick resident to the hospital. “Sana po mabigyan ang GRACES ng mga karagdagang sasakyan dahil napakahirap na isugod sa ospital ang isang may sakit na lola o lolo, lalo pa kung masama ang panahon (We wish that GRACES will be provided with additional vehicles because it is very difficult to rush a sick older person to the hospital, particularly during inclement weather),” Edwin further said. 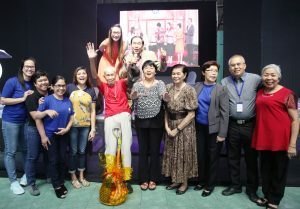 “We also wish that more people will visit the older persons here, they get lonely and they like it when visitors drop by the center to interact with them, like what showbiz personality and blogger, Ms. Mocha Uson did. “ Edwin stated. Naghahanap ang mga lola at lolo ng pagmamahal at atensyon, gusto nila na may kumakausap sa kanila (The lolas and lolos long for love and attention, they want people to talk to them),” he added. For her part, Secretary Judy M. Taguiwalo stated that she recognizes the problems of DSWD staff assigned in the centers.